In a recent study, 92% of the respondents reported that they will recommend aloe vera juice to a friend or relative. Why? All it takes is 5 minutes of your time to find out! In this post, we talk about the important benefits that make aloe vera a good addition to your routine. Keep reading. In simple terms, it is the juice made from aloe vera, the plant that grows in tropical climates across the world. It is widely used for its benefits and decorative purposes (where it is grown indoors as a potted plant). The extract of the plant is used in numerous health and skincare products – some of which include skin lotions, oils, cosmetics, and certain other medicines. Also called ghritkumari in Hindi (and sothu kathalai in Tamil), the plant, in its various forms, has been widely propagated as a healthful ingredient. Especially the juice of the plant, particularly which we are going to talk about here. Coming to the question we posed in the very beginning – how is this juice good for you? Before we even answer that question, we need to look at what the juice contains. 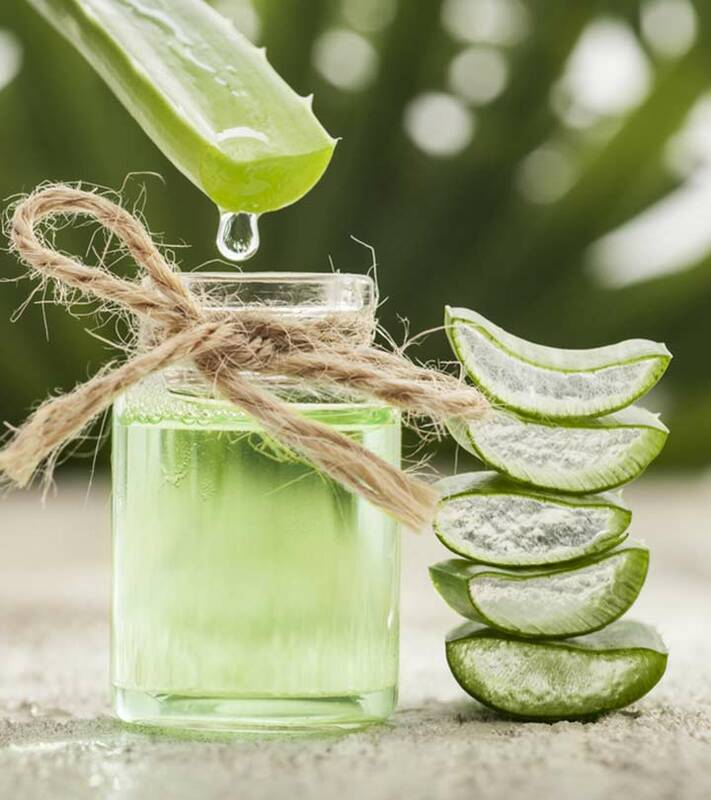 Aloe vera has been found to contain 75 potentially active constituents – these include vitamins, minerals, enzymes, sugar, amino acids, salicylic acids, lignin, and saponins. Briefly put, the vitamins in aloe vera juice include vitamins A, C, and E, folic acid, vitamin B12, and choline. It also contains minerals like calcium, copper, magnesium, manganese, selenium, sodium, zinc, and potassium. There is research that speaks loads about the goodness of aloe vera juice. But there is some contradictory evidence too – which also carries equal importance. Some studies have been performed on animals, and similar beneficial results on humans are uncertain. Also, certain studies on animals have shown harmful effects. But worry not, we will cover all of that in this post. Aloe vera juice has digestive and immune benefits. It helps treat intestinal issues and builds immunity. The plant is good for the heart too – it aids in cholesterol and blood pressure reduction. Other benefits include balancing the body’s pH levels, improving skin health, and treating bad breath. It can even stimulate the uterus and improve menstrual conditions. In fact, aloe vera juice had been mentioned in ayurvedic texts too. As per ayurveda, aloe vera juice can benefit the eyes and help prevent various eye disorders. It also is useful in treating jaundice and bronchitis. You can consume aloe vera juice along with certain other ingredients as well – this can add up to the benefits. One of such ingredients is amla. Amla is rich in vitamin C (it contains eight times the amount of the vitamin in one orange) and is a potent antioxidant. Consuming the two can have great benefits on your skin and prevent inflammation. You can mix aloe juice with honey too – they are low in sugar than most other drinks, and you have the advantage of phytonutrients. So is the case with aloe juice and lemon – it can be incredibly refreshing. Now, we get to the details – the benefits of aloe vera juice, and what they can mean to you. The juice has laxative properties that can aid in digestion. It encourages gut bacteria and regulates bowel movements. It also has been found to soothe and cure stomach ulcers. Aloe vera juice can cleanse the digestive tract, which is vital for the treatment of irritable bowel syndrome (which occurs due to the build-up of toxins in the gastrointestinal tract). Though other forms of aloe vera also help in this regard, the benefit of the juice is it can be absorbed by the stomach much easily. The juice even stimulates the production of bile in the gall bladder – this breaks down the fats in the body that otherwise can get accumulated and cause constipation. According to an Iranian study, aloe vera juice can reduce abdominal pain and flatulence in patients with irritable bowel syndrome (2). However, more research is required in relation to stool consistency in these patients. And not just the juice, even the latex of the aloe vera plant can help cure constipation (3). As per another Indian study, aloe vera is extensively used in the treatment of peptic ulcers. It exhibits antibacterial properties against H. pylori, the bacteria responsible for gastric infections (4). Another Indian study states that the use of aloe vera for digestive ailments has no adverse effects (5). But a major portion of this research is based on personal experiences (and not on scientifically documented evidence), which is why more studies are warranted. Though the juice can have an anti-inflammatory effect on people suffering from ulcerative colitis, it might also cause diarrhea (6). Hence, practice caution. As we have seen, the juice has laxative properties – the anthraquinones and barbaloin in aloe stimulate the bowels and increase its tone (7). The anti-inflammatory properties of aloe vera can help treat irritable bowel syndrome (8). As per a Mexican study, the anti-inflammatory agents in aloe vera can also tread edema (9). Decolorized aloe was also found to reduce skin inflammation, especially when used by podiatric (specialists in foot care) physicians (10). Another German study had also revealed the anti-inflammatory properties of aloe vera on skin. The gel (and potentially the juice too) had reduced UV-induced erythema (11). A hormone called gibberellin in aloe vera juice is found to fight inflammation in diabetic individuals. 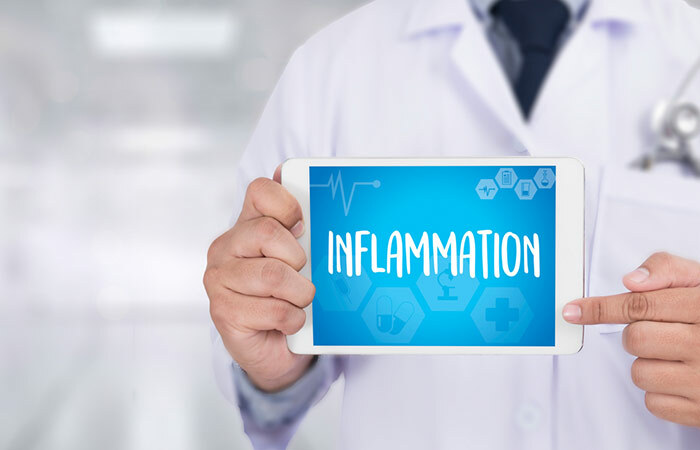 The study was conduced on diabetic animals with poor anti-inflammatory capabilities. With aloe vera ingestion, they were able to fight inflammation better (12). And aloe vera helps cure not just internal inflammation, but also the pain associated with it (13). Aloe can immensely benefit people with joint pains too. According to one study, aloe vera can be used in the treatment of chronic non-cancer pain, and particularly one that is caused by osteoarthritis (14). But still, long-term studies are required to prescribe aloe vera juice as a treatment for osteoarthritis. Topical administration of aloe vera can also inhibit pain related to arthritis (15). Due to its anti-inflammatory properties, the juice can provide relief from joint immobility. The aloe vera juice (and the gel) also acts as an effective base to prepare a compound called nimesulide emulgel, which possesses significant anti-inflammatory properties and could be used to treat rheumatoid arthritis. As per a report, a set of 5,000 patients (suffering from chest or heart pain for five years), upon intaking aloe vera, had shown a reduction in the pain symptoms. And not just that, they also exhibited reduced levels of cholesterol and blood sugar (in diabetic patients) (16). An Indian study conducted on rats showed that aloe vera could mitigate heart problems that usually were a side effect of the drug doxorubicin (used for cancer treatment) (17). And another Indian study had stated the cardioprotective activity of aloe vera (18). Supplementation of aloe vera, along with appropriate nutritional counseling, had lowered blood pressure levels in diabetics (19). According to an Iranian study, aloe vera can prevent atherosclerosis (20). The juice has been shown to prevent fatty streak development, thereby halting plaque formation and ultimately protecting the heart. Aloe vera had also shown to lower cholesterol levels of the liver (21). The group supplemented with aloe, in the study, had shown a 30% reduction in hepatic cholesterol levels. Aloe vera juice also dilates capillaries and enhances the arterial walls – and the vitamin C in aloe vera helps lower blood pressure. Vitamin is important in the synthesis of collagen, the protein required in blood vessels. One Italian study focused on the efficacy of aloe vera in detoxification – stating that it helps flush the toxins out of the body (22). The juice of the plant has also been found to be effective in this process (23). The liver is one of the important organs involved in the detox process – and as per a study, aloe vera exhibits hepatoprotective activity (24). Also, aloe vera possessing laxative properties, can clear the ingested toxins away from the digestive system (25). As per another Turkish study, aloe vera has a protective effect on the liver in diabetic patients (26). This is specifically true in the case of patients with type 2 diabetes. The potassium in aloe vera juice helps it to stimulate the liver and kidneys, two vital organs of detoxification (27). Aloe also contains uronic acid that eliminates toxins within the cells. One way aloe juice could help in weight loss is its anti-inflammatory properties. Inflammation is linked to weight gain and metabolic issues, and in this way, aloe vera juice could play its part in promoting weight loss. Aloe vera juice also contains aloin, which is a potent laxative (we already saw aloe’s laxative effects). This could also aid in weight loss. But hey, there is not much evidence with respect to this. Another animal study found that aloe vera contains potent sterols that can improve body composition. Obese rats fed with these sterols had lower levels of body fat after 35 days. A similar effect is possible in humans as well. And as per a Japanese study, ingestion of aloe vera can prevent diet-induced obesity (28). It achieved this by stimulating energy expenditure and reducing accumulation of body fat. Aloe vera had beneficial effects also on obese individuals with prediabetes or diabetes (29). There’s more to aloe vera juice than meets the eye. Keep reading, and you will know what we mean! Aloe vera juice can work great for your immunity. You can take a shot of the juice before hitting the bed – the juice will work its way through your system as you are asleep. You should be seeing the beneficial effects (like improved overall well being, reduced frequency of sickness) in a month – if you are regular. As per a Polish study, ingestion of aloe vera could stimulate cellular and humoral (related to bodily fluids) immunity (30). Preliminary research suggests aloe vera juice intake can help improve blood glucose levels (32). As per another analysis, diabetics with fasting blood glucose of more than 200 mg/dl can benefit the most from oral aloe vera treatment. Aloe vera juice also contains chromium, magnesium, zinc, and manganese – all of which improve the effectiveness of insulin. However, as we have seen, further research is required. Another American study talks about UP780, an aloe based composition, which has been found to aid in the maintenance of healthy blood glucose levels (33). Similar effects could be possible with aloe vera juice. And given its ability to reduce blood glucose, aloe vera is commonly used for diabetes treatment (34). Most anti-cancer agents have their origins in plants, and aloe vera is one of them. As per a UAE study, aloe vera can inhibit cancer cell growth and even increase the effectiveness of cancer drugs like cisplatin (35). 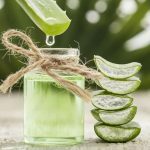 Accumulating scientific evidence throws light on the preventive and therapeutic potentials of aloe vera juice against various forms of cancer. Aloe contains bioactive compounds like aloin, lectin, and aloesin, which have shown anti-proliferative effects (36). Aloe vera also heals pre-cancerous lesions, as per a study. The juice has also been found to reduce the damage done to the body by radiation therapy. It even reduces metastases, thereby halting cancer proliferation (37). That’s one part of it. On the other hand, it is important to note that there is no extensive research on aloe vera juice and its cancer-curing properties (38). Certain laboratory studies have also shown that intake of aloe can enhance immunity that can, in turn, kill the cancer cells. But again, we don’t have enough research. Aloe vera juice contains nearly 200 active components, and it undoubtedly replenishes the body (39). The juice is very much hydrating. It holds off the thirst that might otherwise cause exhaustion and fatigue (40). And since it contains a decent amount of potassium too, you get an added advantage. Potassium can boost your energy levels. As per a Brazilian study, aloe vera can improve skin hydration too (41). Aloe vera can also be used to eliminate the disease-causing bacteria in the mouth (42). 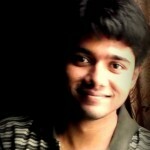 And one Indian study states that aloe vera could have unlimited use in the field of dentistry (43). Aloe vera juice can also act as an efficient mouthwash, without any side effects (44). 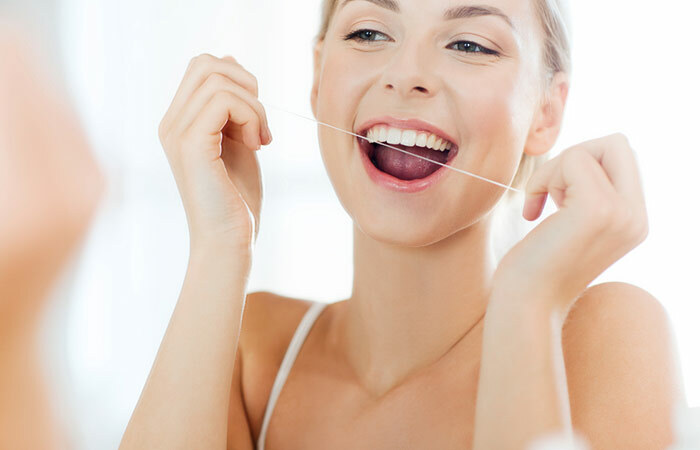 In one study it had significantly reduced plaque and gingivitis. The anti-inflammatory properties of aloe vera can also play a role in treating plaque-induced gingivitis (45). Aloe vera can heal wounds and soothe the skin. It even has shown its efficacy in treating eczema, dandruff, skin ulcers, and canker sores. It even helps treat sunburn – it exhibits its healing activity at the epithelial layer of the skin. This is recommended by dermatologists to remove tan as well. The juice can also moisturize your skin without making it feel greasy. It also prevents the skin from drying. The two hormones in aloe vera, auxin and gibberellins, which help heal acne and even treat the scars. Aloe vera can also help hide the stretch marks caused during pregnancy, or by rapid weight gain or weight loss. And its antibacterial properties that ease psoriasis as well. Aloe vera has its uses in beauty as well. You can use it to remove your makeup. It’s a better alternative to all those other makeup removers that contain harsh chemicals. And not just that – how about aloe vera face wash? You can mix it with 1 teaspoon each of almond milk and lemon, and use it as a face wash. Let it sit on your face for a few minutes before you rinse. What more – you can even use it as eyebrow gel. You can simply dip a clean mascara wand in the juice sweep over your eyebrows. As per studies, aloe vera also improves wrinkles and skin elasticity of photoaged skin (46). And according to an Iranian study, aloe vera can also accelerate the wound healing process (47). Aloe vera can even promote the growth of new skin cells. And more interestingly – it can absorb 20 to 30% of the UV rays (48). Aloe can be an excellent treatment for acne too, given it contains substances that can reduce pain and inflammation. You can simple dab a thin layer of the juice on the affected areas of your face. Not just that, aloe vera also can act as an antiseptic (49). And it works great in slowing down the aging process. The juice stimulates the fibroblasts (that produce collagen and other elastin fibers) making the skin much more elastic and reducing wrinkles. The juice can also heal sunburns as aloe has good cicatrization (forming a scar after an injury, and accelerating the healing process) effects (50). Aloe vera could also help relieve eczema symptoms. Though most of the information we have in this aspect is just from personal testimonies, logic supports aloe vera. Given its anti-inflammatory properties, it is quite logical to believe that it can aid in eczema treatment. Eczema even manifests itself as dry patches on the skin – and since the aloe vera juice is extremely hydrating, it can work wonders in relieving the related itchiness. Though it can offer a proper cure, the juice can sure be used to aid in the treatment. Aloe vera juice also activates internal cleansing (it detoxifies, basically, as we have seen), and this can have a beneficial effect on psoriasis. As per studies, aloe vera juice can be more effective than certain medications for treating heartburn or acid reflux. This holds true particularly with purified and decolorized aloe vera juice. In a 2015 study, aloe vera juice had reduced the symptoms of acid reflux better than certain traditional medications, and that too, without any side effects. And since the aloe vera juice has the ability to soothe the gastrointestinal tract, it can assuage the symptoms of heartburn. According to another study, aloe vera is a safe treatment for GERD (gastroesophageal reflux disease) symptoms – and the juice is well tolerated too (51). The enzymes and anti-inflammatory properties of aloe vera juice soothe and moisturize the scalp. This can treat itchy scalp and dry hair as well. The juice also contains protolitic enzymes that eliminate the dead skin clogging the hair follicles. The alkaline characteristic of aloe vera also balances the pH level of the hair. The juice can also act as a good conditioning agent, as it adds shine to your hair and controls frizz. And the vitamins and minerals in the juice strengthen your hair. According to an Iranian study, the antibacterial properties of aloe vera help treat dandruff as well (52). Aloe vera juice offers all the essential amino acids, which your body cannot produce (53). These amino acids, apart from promoting overall health, can also help in muscle building. And because of its detoxifying effects, the juice also helps build lean muscle mass. In one study, individuals given diets including aloe vera performed better on tasks of memory recall and recognition, and more importantly, reported reduced incidences of tension or low mood (54). These effects could be attributed to the saccharides in aloe vera. Easy peasy – in case you are wondering how to prepare the juice! It doesn’t take longer than your morning cupaa coffee! One popular way of consuming aloe vera juice is with honey – which is what we will look at now. All you need is 200 grams each of aloe vera and honey. Take the spikes off the aloe vera leaves and leave the green skin alone. Cut it into small pieces and add them to the blender. Now add honey. Mix well and put the mixture in a jar. You can drink a spoonful of the juice thrice a day, before you eat. Ideally, do this for 10 days, take a break for 10 days, and repeat. You can use aloe vera masks for skin. Here are a few. In the multani mitti paste, add half a teaspoon of Aloe gel. Then add a few drops of rosewater and honey and mix well to get a smooth paste. Apply on the face and keep for 15 minutes. Rinse with warm water and pat dry. Blend a few pieces of your favorite fruits like papaya, banana, apple, orange, etc. Into this add a teaspoon of the aloe gel and mix well. You can also add a teaspoon of almond oil or wheat germ oil if you have dry skin. Leave it on for 20 minutes and rinse with cool water. In 2 teaspoons of aloe gel, add a teaspoon of rosewater and almond oil. Then add fresh cucumber paste and mix well to form a smooth consistency. Apply and keep for 15 minutes and rinse with cool water. This face mask also acts as an excellent scrub. It hydrates and smoothes oily skin, removing the dead cells, oil, and excess sebum. In a mixing bowl, add two teaspoons of oatmeal and cucumber paste. Into this, add one teaspoon of aloe juice and mix well to form a smooth paste. Gently scrub in circular motions. Now lie down for 15-20 minutes and rinse off with warm water. This face mask is especially beneficial for women with premature aging. Green tea and Aloe are rich in antioxidantsthat help to fight free radicals and reduce signs of aging. Mash ¼th avocado pulp and cucumber puree in a bowl. Into this add a teaspoon of the Aloe gel and green tea water. Mix well to form a paste and apply on the skin. Keep on for 20 minutes and rinse with warm water. Shea butter has excellent hydrating and moisturizing properties. It is an essential ingredient in various creams and lip balms. In one teaspoon of aloe gel, add one teaspoon of olive oil and Shea butter. Mix and mash all the ingredients, for a nice smooth paste. Apply and leave the mask on for 20 minutes and wash with cool water. This face pack is ideal for dry and sensitive skin people. And we have aloe masks for the hair too. In two teaspoons of besan, add curd and one teaspoon of Aloe Vera gel. 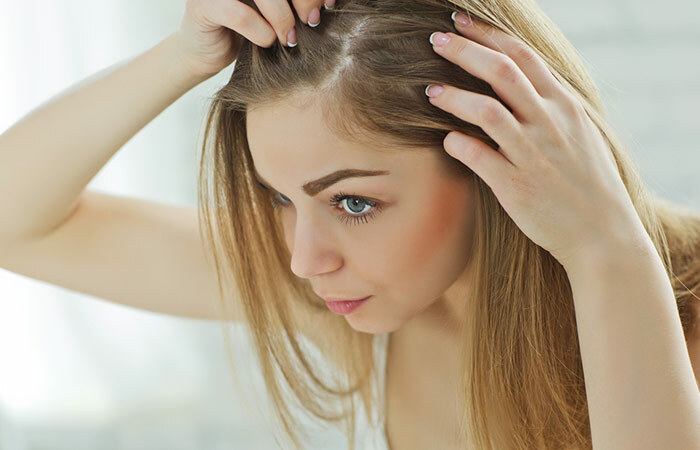 Mix well to form a smooth hair pack and apply on hair. Rinse off after 30 minutes with a mild shampoo. In three teaspoons of Aloe gel, add one teaspoon of lemon juice and coconut oil. Massage onto the scalp and keep for 20 minutes. Wash off your hair with shampoo. In a blender, add the Aloe gel and a handful of hibiscus leaves. You can also add the flowers for better results. You will get a smooth green paste. Apply this on the root and hair strands and leave it for 30 minutes. Wash with shampoo. You may also have to shampoo your hair twice to remove this hair pack. Taking aloe vera first thing in the morning can have tremendous benefits. It clears the toxins out of your system, facilitates digestion, and improves the function of the kidneys. The benefits are great – but the juice has some side effects too. Though aloe vera juice might help in weight loss in a way, it can act adversely too. It is a laxative and acts as a diuretic – though this can cause short-term weight loss, it can be harmful in the long run as it can lead to potassium deficiency (impairing muscle and heart function) (55). Aloe vera can be potentially dangerous when taken by mouth. One report links aloe vera with miscarriage. The juice can also increase the risk of birth defects. Avoid use if you are pregnant or breastfeeding. Some individuals could be allergic to aloe. This could be true especially with individuals who are allergic to garlic, onions, or tulips. The symptoms include rashes, hives, swollen or itchy skin, chest pain, and difficulty breathing. This could be severe. Aloe vera juice can cause potentially dangerous kidney injury. Hence, if you have any kind of kidney disease, avoid using aloe vera. Aloe vera can decrease blood sugar, and this could cause a problem with diabetes medications. Aloe vera can also interact with sevoflurane (used as anesthesia during surgery) and warfarin (used as a blood thinner). There are numerous other drugs aloe vera interacts with (56). For general usage, 300 mg of aloe vera per day could be the ideal dosage. But do check with your doctor once as the dosage might depend on your individual condition (57). It’s unsafe for pregnant or breastfeeding women, so avoid use. Aloe vera must also be avoided in children below 12 years of age. And if you are wondering where to buy the ideal aloe vera juice, we have it covered. You might also want to check Baidyanath Aloe Vera Juice. Which of the two is better – colored or decolorized aloe vera juice? What is the pH of aloe vera juice? Aloe vera juice is rich in lectin, calcium, iron, amino acids, and potassium – and it has a pH level of 4.5 to 5.5. Like we have seen, research sways on both the sides. Hence, what we can conclude is this – aloe vera juice is absolutely great. You can use it for its benefits. But if you are someone with any medical condition, it is just as important to avoid use and consult your doctor first.